I was the lucky recipient of such an excellent Christmas present, I simply had to share it with you. Since leaving London, I have been mourning the absence of the free weekly Stylist mag, which they give out on the tube each Wednesday. She's been saving me her copy each week, and gave me them all in a one-er last week, along with a much coveted mug which I've mentioned on this blog before from Gillian Kyle. 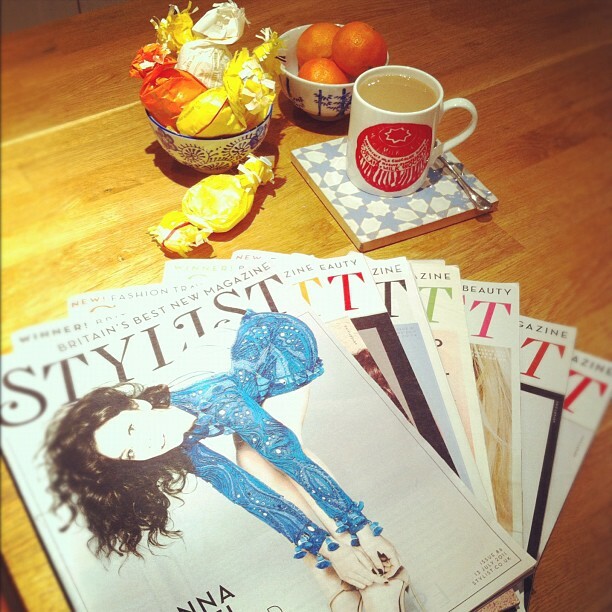 So, a mug of tea, a stack of magazines - and my favourite left-over Christmas treats to keep me going. Happy Christmas to me. 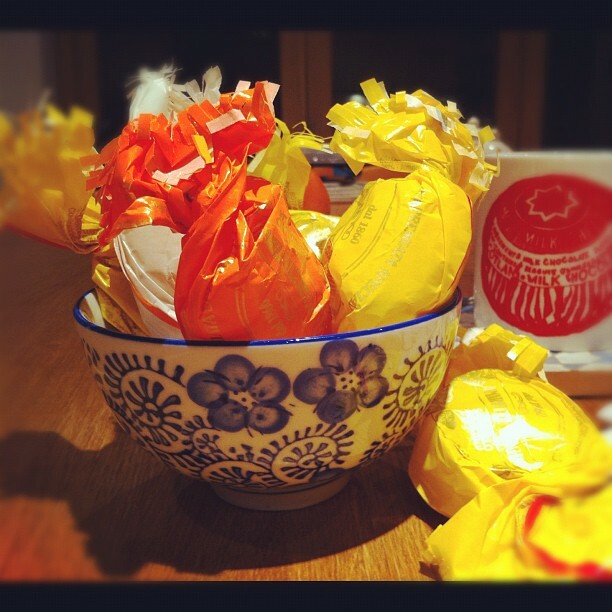 I love these Amaretti Biscuits. The soft ones are the best, and can be picked up in your supermarket right now for bargain prices, in the post-Christmas reductions. They are surprisingly low in calories, taste gorgeous (although if you don't like marzipan, you might as well stop reading) and the lovely paper twists they come in make them feel like a real treat, and look pretty too. Soz, no time to write a blog now, I've got some reading to be getting on with.